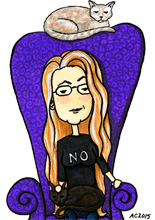 This tiny oil painting is perfect for a little niche. When I first found these wee little canvases with their accompanying easels, I was so excited to start painting right away that I painted up several backgrounds, and then let them sit for a while. 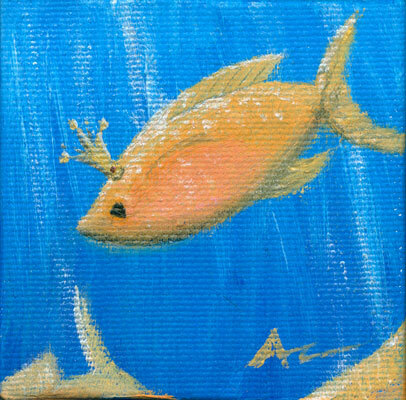 While I was googling I found a photo of this colorful tropical fish, and then once she was painted, she demanded a crown to let everyone know she was the Princess of her little school of fish. The edges of this little canvas are finished, the image wrapping around to the sides to add a little dimensions to this tiny bit of undersea paradise. The crown is painted in metallic gold, and there’s a touch of pearlescent white in the shining water and on her shimmery skin, just to add a little sparkle. 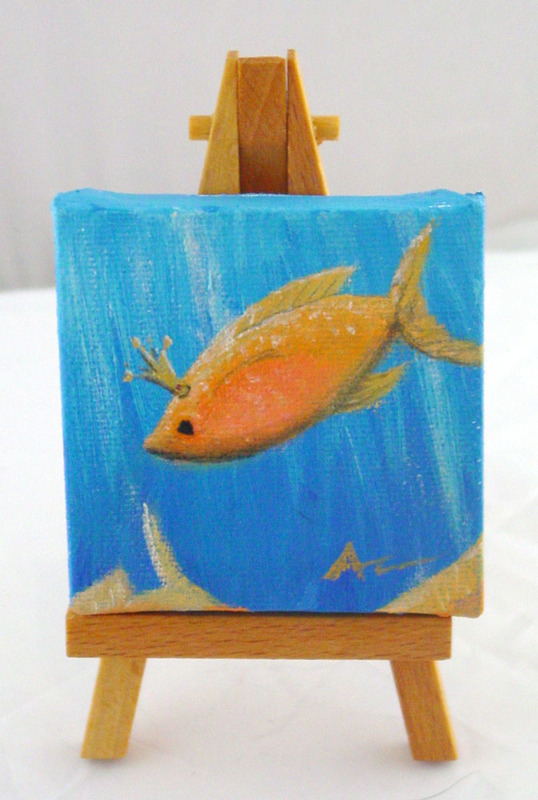 Princess Fish, 2.75″x2.75″ oil on canvas, 5″ tall easel, sold.